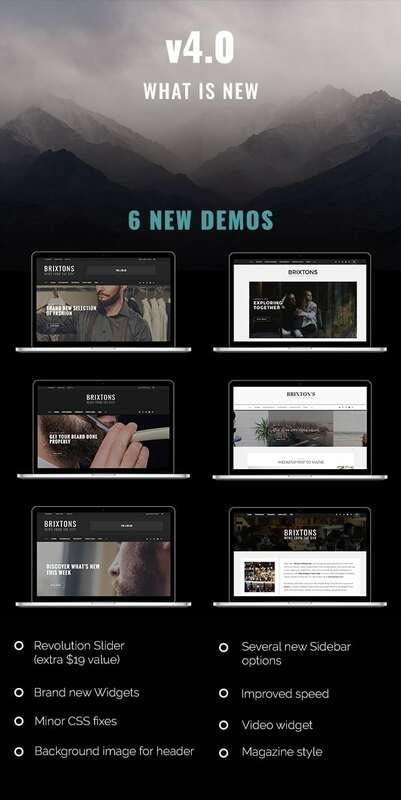 Brixton has been one of the best selling WordPress Blog Themes on Themeforest for over a year now. That’s why we decided it’s time to take it to another level and bring some great new features. With the inclusion of Revolution Slider, we wanted to bring a new level of interactivness to the Theme if you need it. 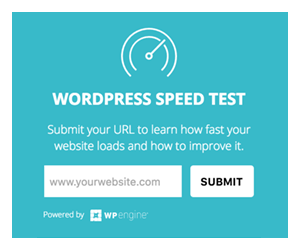 In the world of WordPress who doesn’t know the most renowned and modern Slider? It’s needless to say that this is by far the biggest update of Brixton so far. 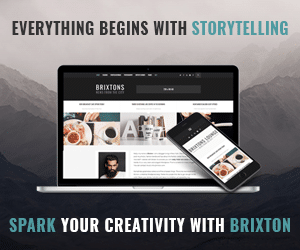 We listened carefully to your suggestions and feature requests and together we built Brixton V4.0, an innovative mix of blog and magazine Theme. And for the first week after release we even lowered the price to only $34. A perfect opportunity to update your website with a modern and elegant new design. Blog is the core of every good WordPress powered website. It all begins with storytelling. Brixton brings a unique style, loved by hundreds of happy customers! Brixton is our best selling WordPress blog theme. 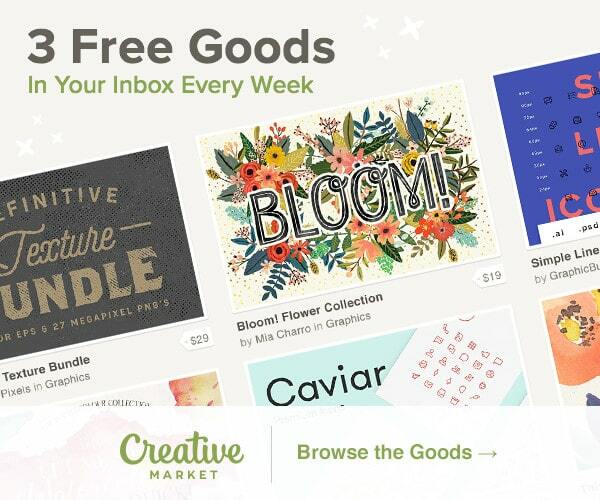 It was released almost exactly one year ago and it was the 3rd best selling blog theme in 2015 on Themeforest. It was time for a next major update to make the theme ready for 2016. Don’t worry, nothing major in terms of design and all new features can be turned on/off. So everyone that likes it just the way it is, your design will be intact. With the new features with prepared two exciting new demos, just to see what you can do with Brixton. Click on the images below to see both previews. We hope you will like the new features of Brixton. If you have any suggestions for cool features that you think would be a great addition to Brixton, let us know. Hi I purchased this theme a few months ago and I now want to update to the latest version but I am having trouble doing this. I entered user name and api key in the theme options page but I cant see anywhere to update I also download the latest version from Envato but I can reinstall the newest version of the theme over the old one. thans for purchase. The best way would be if you contact us via support tab on Themoforest so our support can check it out. 🙂 Thanks.